First Choice Business Brokers Inc.
How do I buy a First Choice Business Brokers Inc. Franchise? 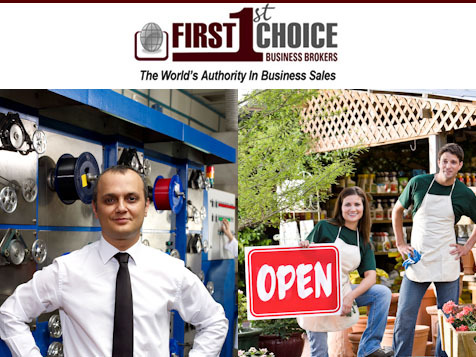 Founded in 1994, First Choice Business Brokers has grown into a family of over a hundred brokers and agents nationwide. 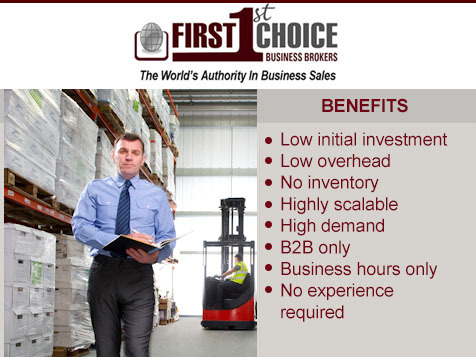 First Choice assists buyers and sellers of small to medium sized businesses with their transactions in the most professional and effective manner possible, and are leaders in the industry, with operating methods and procedures that are second to none. Learn more about the costs and benefits of becoming a business consultant today. Open First Choice Business Brokers Inc. in any of these available states: AK, AL, AR, AZ, CA, CO, CT, DC, DE, FL, GA, IA, ID, IL, IN, KS, KY, LA, MA, MD, ME, MI, MN, MO, MS, MT, NC, ND, NE, NH, NJ, NM, NV, NY, OH, OK, OR, PA, RI, SC, SD, TN, TX, UT, VA, VT, WA, WI, WV, WY. Business Brokers help business owners find buyers for their business. Join a nationwide growing team of business sales professionals, leveraging each other's experience with the proven tools to start earning what you are worth! The retirement of self-employed baby boomers, corporate downsizing, and the ever-improving affordability of business entities have created an enormous market for decades to come. Of even greater importance is the resiliency of this industry to economic cycles. In "good" economies, business owners know that it's a good time to sell, and buyers have the money to pay the price. In "poor" economies, business owners often need to sell, and astute entrepreneurs know that it's the time to buy. Business purchases also rarely involve external financing, so credit scores and interest rates are much less of an issue (and a headache) in our industry than in others. If you are motivated by personal achievement, stimulated by challenge and want the prestige associated with the Business Brokerage Profession, then becoming a First Choice Business Broker is the "Right Choice" for YOU! Complete the inquiry form today and learn more. First Choice Business Brokers Inc. is not currently active in our directory, but here are some other recommended selections for you to explore.